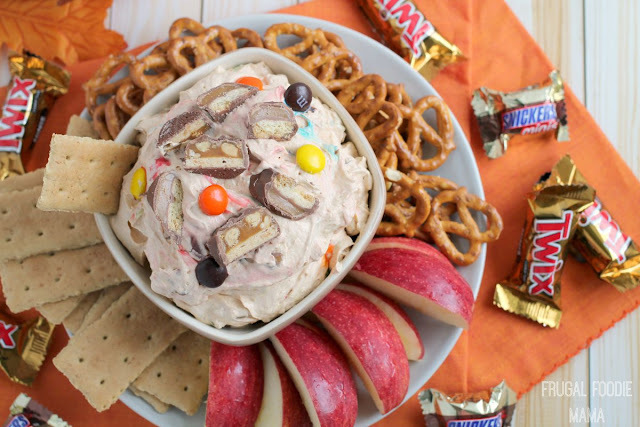 I mean, there is just something about having hoards of extra trick or treat candy on hand that makes me want to get into the kitchen and whip up a few goodies. 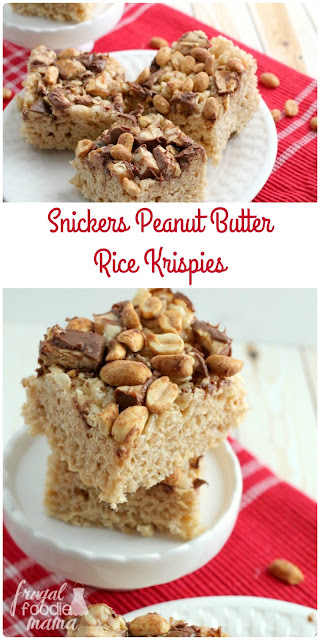 If you find yourself with some extra Snickers on hand after those porch lights go off this weekend, then you will definitely want to make sure that these Snickers Peanut Butter Rice Krispies Treats happen. 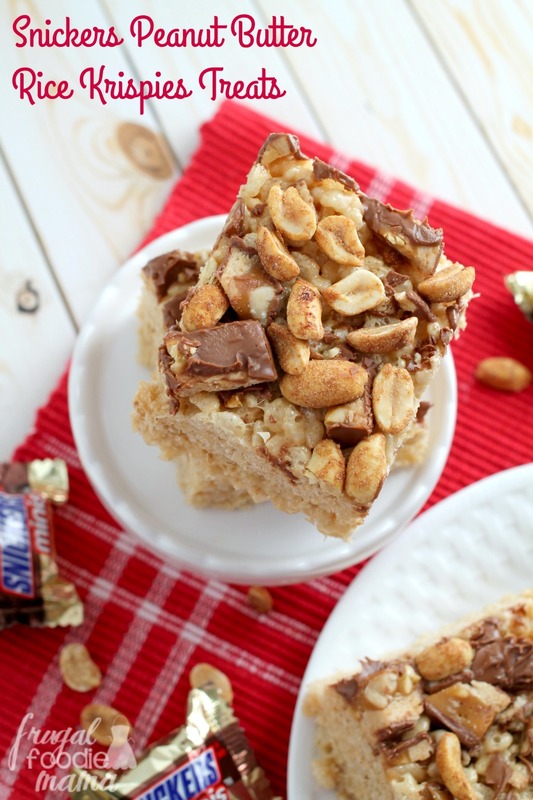 Chop your Snickers Minis and set aside. Line a 13x9 glass pan or baking pan with parchment paper. (You can also spray it with cooking spray.) Set aside. In large saucepan, melt the butter over low heat. Add in the marshmallows and stir until completely melted. Remove from heat, and then quickly stir in the peanut butter. Add in the crispy rice cereal, & stir until well coated. 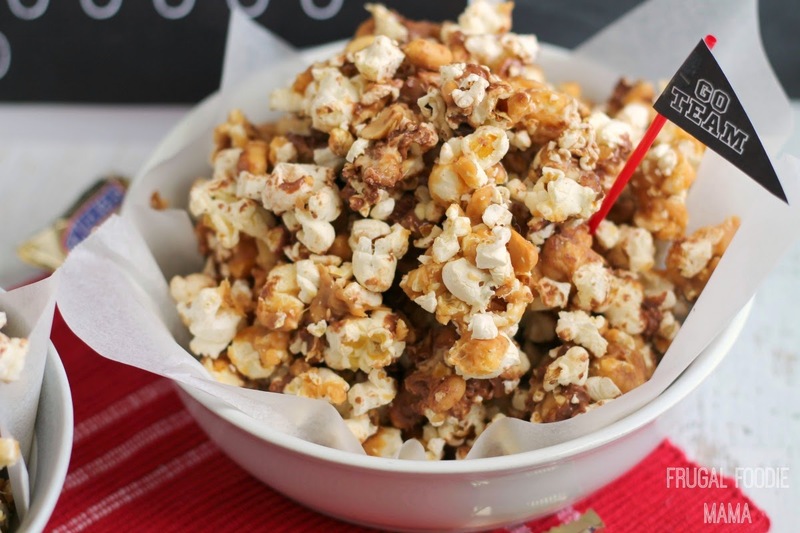 Using a buttered spatula or wax paper, evenly press the mixture into the prepared pan. 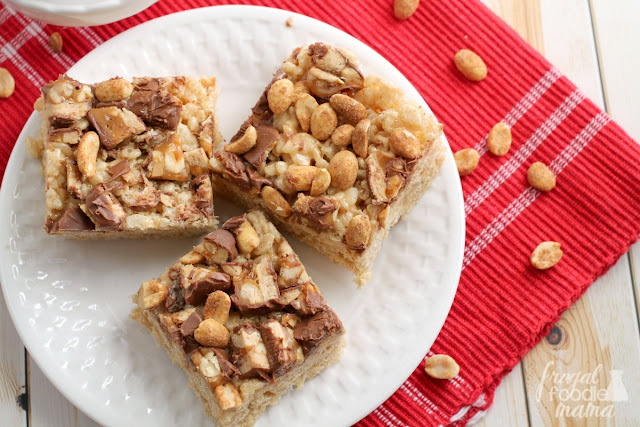 Quickly top with the chopped Snickers and peanuts and then gently press them into the top. 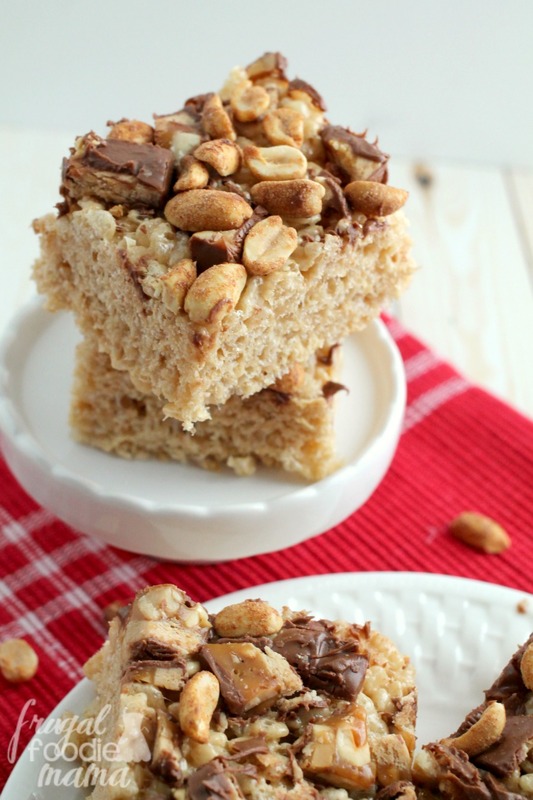 Allow to cool completely, and then cut into 2-inch squares. 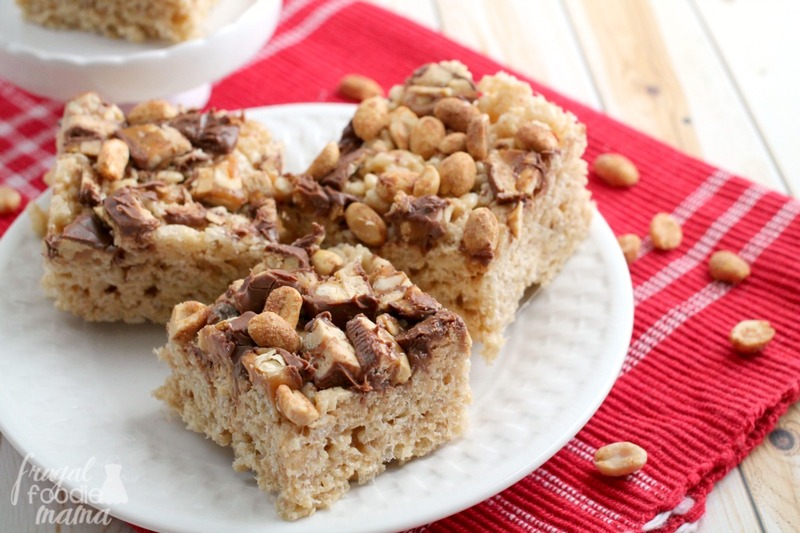 Adapted from the Original Rice Krispies Treats recipe. Do you stash away some extra trick or treat candy for making goodies later?